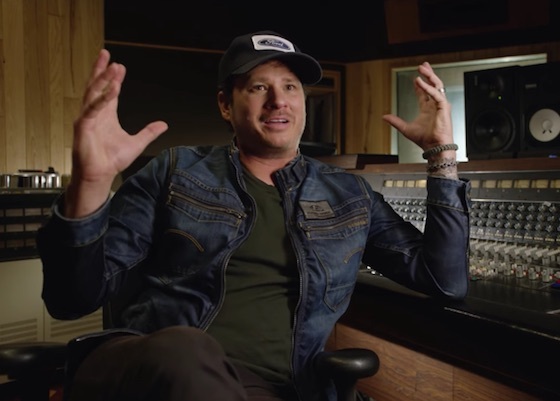 In a day where his former bandmates in Blink-182 announced a team-up with Pharrell, Tom DeLonge has revealed his involvement with History Channel for a new limited series concerning aliens. DeLonge has executive produced the six-part Unidentified: Inside America's UFO Investigation, which will premiere as one-hour episodes on the channel in May. A short teaser trailer for the series can be viewed below. The teaser reveals that the series will feature interviews with former military intelligence official Luis Elizondo, who was also the Special Agent-in-Charge of the Pentagon's Advanced Aerospace Threat Identification Program (AATIP). Elizondo, who is now the Director of Global Security & Special Programs at To the Stars Academy of Arts & Science (which DeLonge co-founded), will "expose a series of startling encounters and embark on fascinating new investigations that will urge the public to ask questions and look for answers" over the course of the series. DeLonge's involvement in Unidentified follows news from last December that his Strange Times graphic novel would be adapted into a TV show by TBS. In October of last year, he vehemently denied reporting that suggested his To the Stars Academy was $37 million in debt.